Nice Bi-level that offers 3 bedrooms 2 baths with 2 car garage. Dining room and living room are all open. Plenty of closet space, basement offers the laundry room along with 2 extra rooms that can be used as an office, family room or an extra bedroom for guests. Dining room has newer french doors that lead out to the deck that overlooks the pool. The back yard is fenced in. New roof/gutters and downspouts in 2018, HVAC 2016. 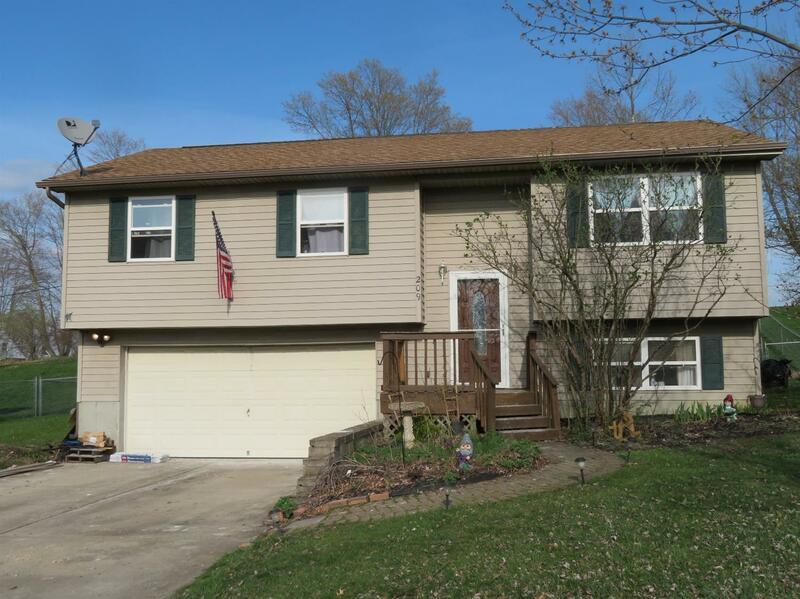 This home is close to schools,shopping and I-275. Would qualify for no money down. Priced to sell at $134,900.